Kafta? Kefta? Kofta? All that matters is that it’s vegan! You may recall that I went to Pita Inn for lunch on my birthday and, while I loved the falafel that I had, I couldn’t help but be a tiny bit envious of my friends and the delicious smelling meat dishes they were eating. So, I made vegan kefta kabob. 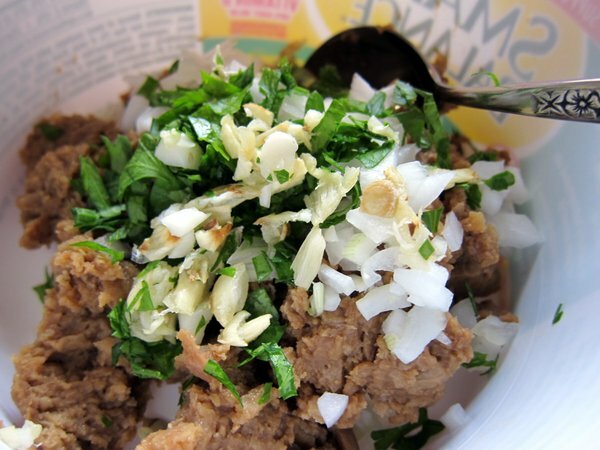 Traditional kefta kabob is usually ground beef seasoned with parsley and onion. 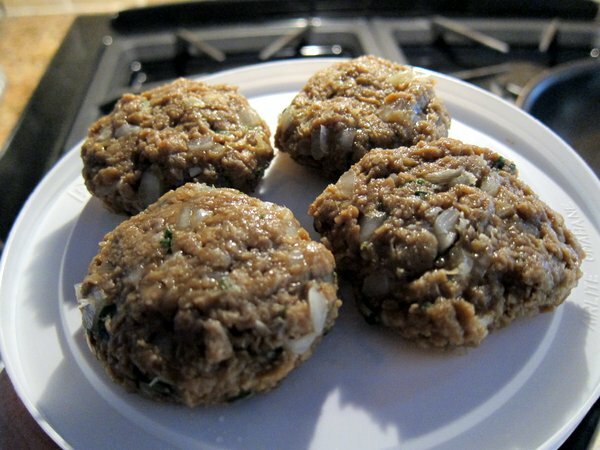 I substituted with Gimme Lean Ground Beef, and I plan to try it out with seitan and tempeh in the future. The recipe below makes about 2 servings. 3 cloves garlic, roasted and chopped. I mixed all the ingredients in a bowl and mashed them together. Then I put the mixture in the fridge to sit for about an hour. 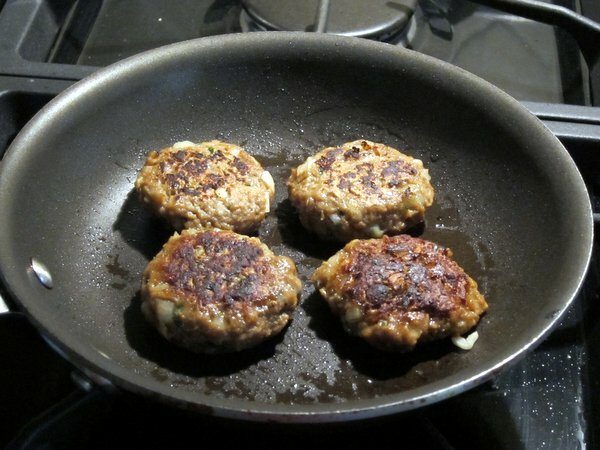 I formed the “meat” into small patties. 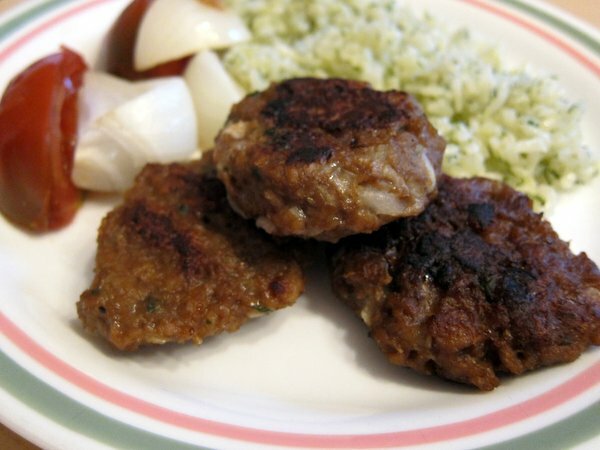 Kefta kabobs are usually put on a skewer and grilled. I thought about putting these in the oven, but opted to fry them since the “meat” is very lean. I fried them in olive oil for about 3-4 minutes on each side. 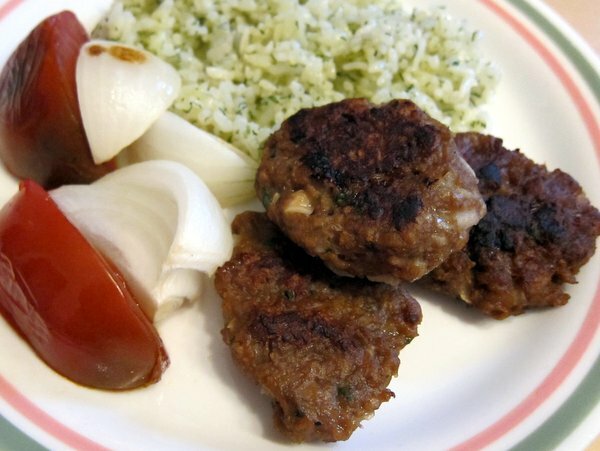 I served the kefta with some roasted tomato and onion and dill rice. The recipe is good enough as is, though I plan to use more garlic and add fresh ground pepper to the mix. I also need to try and replicate the awesome hot sauce from Pita Inn!